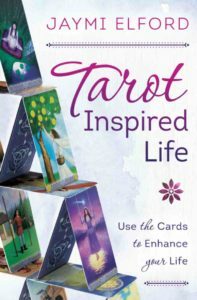 Author of Tarot Inspired Life and the Triple Goddess Tarot. Storyteller. Tarot Reader. Firespinner. Gamer. I wanted to welcome the new visitors from the NaNoWriMo site. The Office of Letters and Light asked me to write a Portland-themed article for their blog tour this year and today they launched my post “Roadtrip to NaNo: Keep Your Novel Weird” today. I’ve been a huge proponent of NaNo ever since I started. It’s a great way for people who want to challenge themselves to write a first draft of a novel, to actually do it, and do it with others who are attempting the same thing. I’ve done it 11 years in a row now and am currently seeking a home for one of those drafts (my non-fiction Tarot manuscript). This site contains inspiration, stories, and real life struggles of a 30-something author trying to find her home in the writing world. Thanks for stopping by and if you have questions, drop me a line at innowen at shadesofmaybe.com. I’m always willing to cheerlead those on to victory. Good luck Wrimos, you can do it!